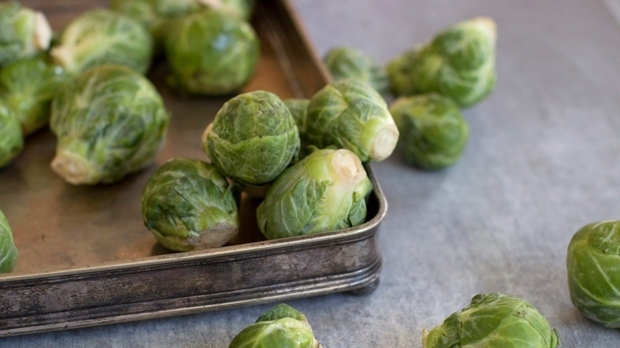 GATINEAU -- A Quebec man was sentenced earlier this year after forcing his eight-year-old daughter to sit at the dinner table for 13 hours over an uneaten serving of brussels sprouts. The court heard that a heated battle over the vegetables in January 2016 resulted in the daughter not being allowed to go to the bathroom or change after she'd soiled herself. She was shivering and suffering from hypothermia and eventually agreed to eat what was left on her plate, only to vomit right after. According to a judgment handed down last January in the case of the 42-year-old father from Gatineau in western Quebec, only then was she permitted to have a shower and go to sleep. The judgment also said the father kept the one remaining sprout on her plate for her to eat upon getting up. He eventually pleaded guilty to one count of unlawful confinement and was sentenced to four months to be served in the community as well as having to pay a $500 charitable donation and perform community service. The man recounted the standoff in a series of text messages the next morning with his ex, the girl's mother. A college professor in special care counselling with a master's degree, the accused had no previous criminal record and had sought a conditional discharge. Quebec court Judge Jean-Francois Gosselin called the case "aberrant and disturbing" and noted the court found no equivalent in jurisprudence.